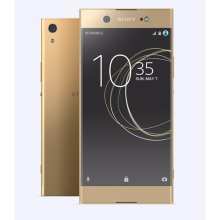 Sony Xperia XA1 Ultra 32GB / 4GB Ram (Gold) - 2017 Best Seller price online in Singapore was last updated on April, 2019. Before buying, compare Sony Xperia XA1 Ultra 32GB / 4GB Ram (Gold) - 2017 Best Seller features, specifications, images and reviews from different websites in Singapore. In addition, find out Sony Xperia XA1 Ultra 32GB / 4GB Ram (Gold) - 2017 Best Seller’s size, weight, battery, display, camera quality, connectivity, warranty and post-sales support information.